We have some exciting news! Thanks to the Association des Français Fonctionnaires Internationaux de New York (AFFIN), we will hold our next event at the United Nations! The focus of the evening will be a panel of some of the amazing and inspiring doctors who volunteer with Surgeons of Hope. The event will take place on Tuesday September 12, 2017 at 6 PM in conference room 8 at the UN Headquarters (46th Street and 1st Avenue). Thanks to your support, Yvonne is well on her way to a normal childhood. On March 11, she received her heart operation in Managua at the skilled hands of a volunteer surgical team from Belgium. Only 7 months old, she weighed just under 10 pounds, so she needed to gain some weight to be strong enough to survive the complex operation. But she did, and she was released from the hospital on March 22! In these photos Yvonne is seen with her father, Danny, before her operation, and again when she was ready to go home. Yvonne is the first child born to Danny and Margery. 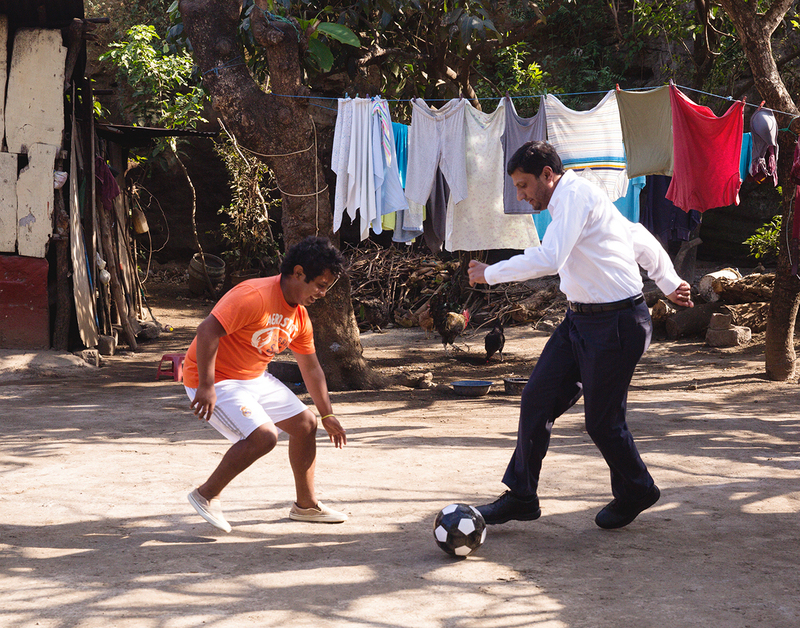 They live in the northern part of Nicaragua, near the border with Honduras. This and so many more stories are the irrefutable proof that our program is working as we envision a world where other children like Yvonne have access to heart surgery when and where they need it. Thanks to our dedicated staff, our donors, our medical volunteers, we can make these stories real. Thank you for being part of that wonderful story! 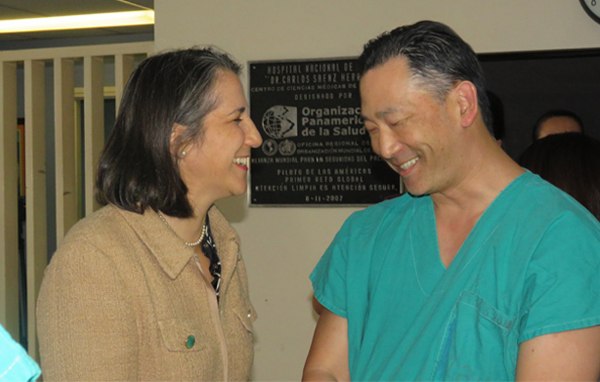 Earlier this month I went to San Jose with a team from New York Presbyterian Hospital, led by Dr. Chai, it was an incredible experience. I took some notes while I was there and I wanted to share some of my impressions with you. I feel a little out of place, observing from the corner of this ICU, looking at the patients who were operated on during the week of the surgical mission. Some of them are still very sleepy, they struggle to breathe, but the nurses tell me that a few days from now they will be back at home with their families. I had a small role in this mission, but right now, I am very grateful to simply be part of this project. It is so humbling to witness how in a few days, a good team of doctors can turn a blue baby into a healthy child. This was our first mission in Costa Rica, and trust me, a few days ago I was very nervous. When you prepare for a mission, you think of all the little things that could go wrong, and in this instance, there were many unknown factors. But when I look at little Britany, I know that it was all worth it! 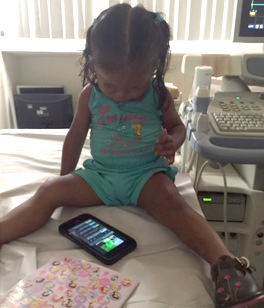 We were all so relieved when Britany smiled and allowed the doctors to do the echocardiogram for her diagnosis. Her operation went very well! Now she is calm, even a little playful. It’s very soothing. I keep thinking of this quote by Mahatma Ghandi, “Whatever you do will be insignificant, but it is very important that you do it”. When I’m in New York City, doing some fundraising or sending emails all day, I sometimes feel like it is a paltry contribution to our cause. But right now, I know that I am a small part of a team that contributed to operate on 10 children and train 30 doctors. The people around me don’t realize it, but they revived my passion for this work. 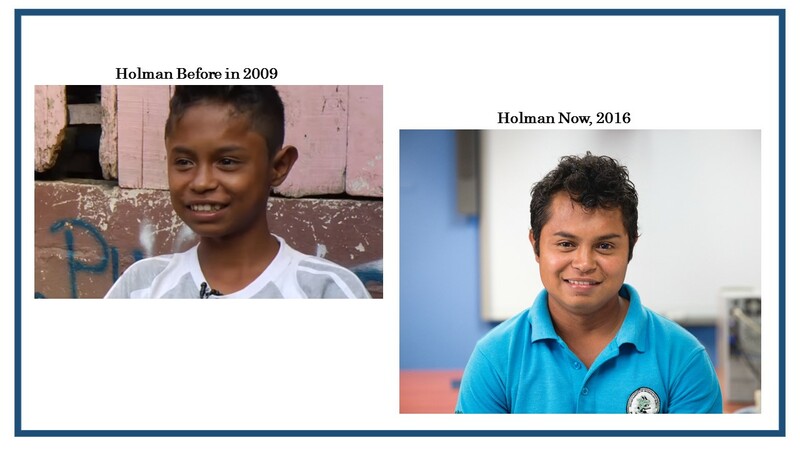 Surgeons of Hope is engaged in a marathon, an ambitious fight against heart disease in Latin America, and each of these children is a little victory. Those doctors around me are qualified, inspiring people, they will operate on hundreds of children, and together, we will win this fight! You should be proud as well. 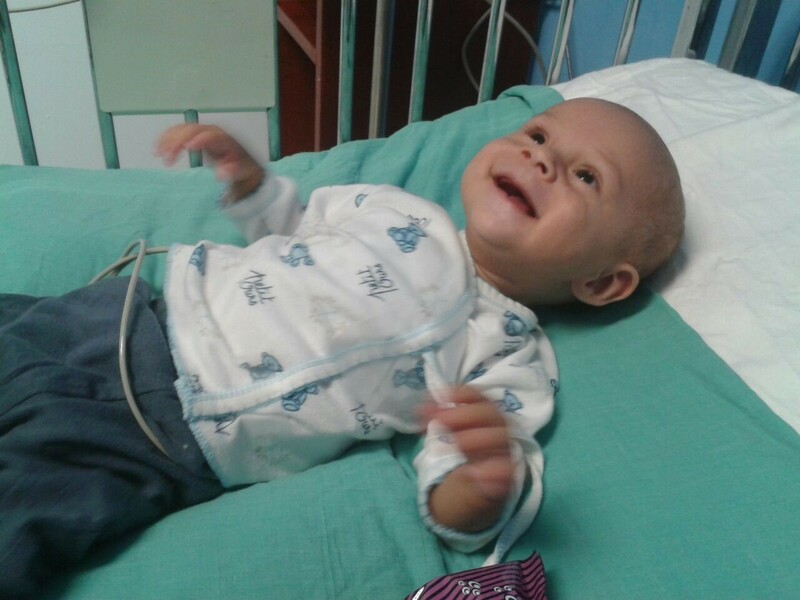 You are a supporter of Surgeons of Hope and your contribution, no matter how large or small was important. It is making a difference. Without you, I wouldn’t be able to do what I love. Together we gave hope to many families, and we will give hope to many more. Thank you! Every 30 seconds a baby is born with a life-threatening but highly treatable heart defect. 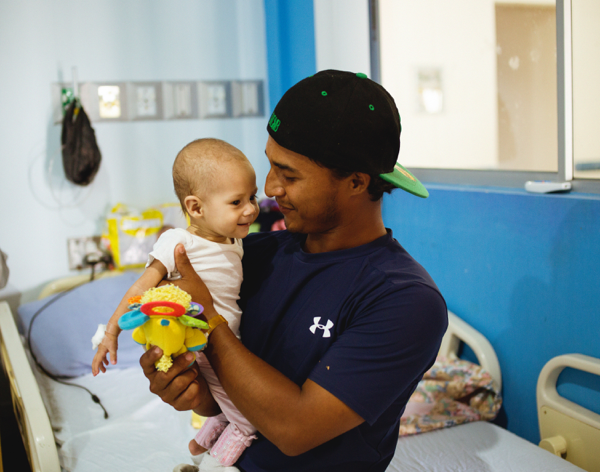 Help us expand access to life-saving heart care around the world. Your support means everything to us. The children of Latin America thank you! Today, heart disease is still a leading cause of mortality among children in the developing world. But this Valentine’s Day, here is a way to honor those who have fought back — and won! 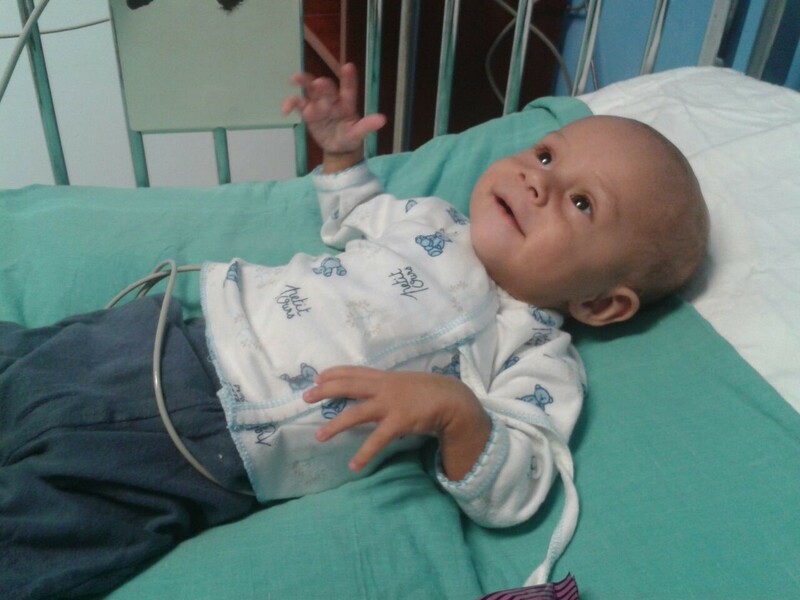 Thais is 21 months old, weighing just 15 pounds. Last week she had surgery to correct what is called a ventricular septal defect (a hole in her heart). 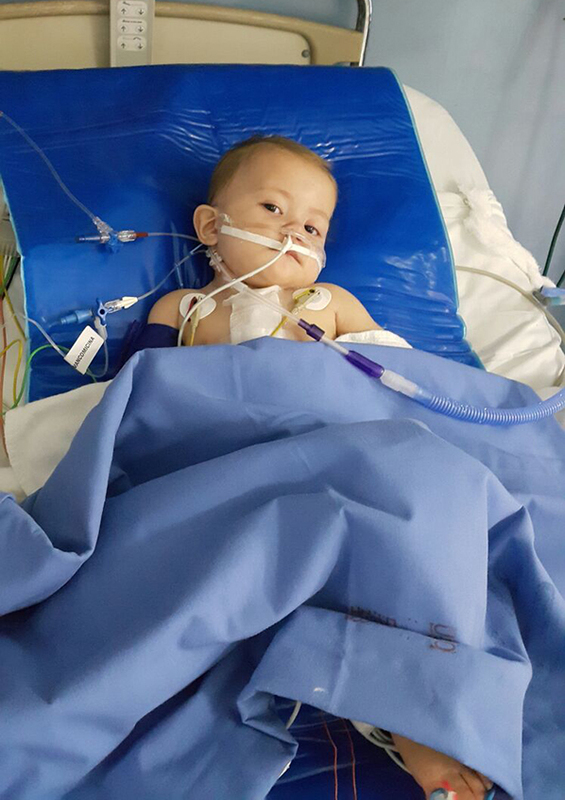 Thais traveled from her home in Puntarenas in the southern regions of Costa Rica to San Jose for her heart operation. 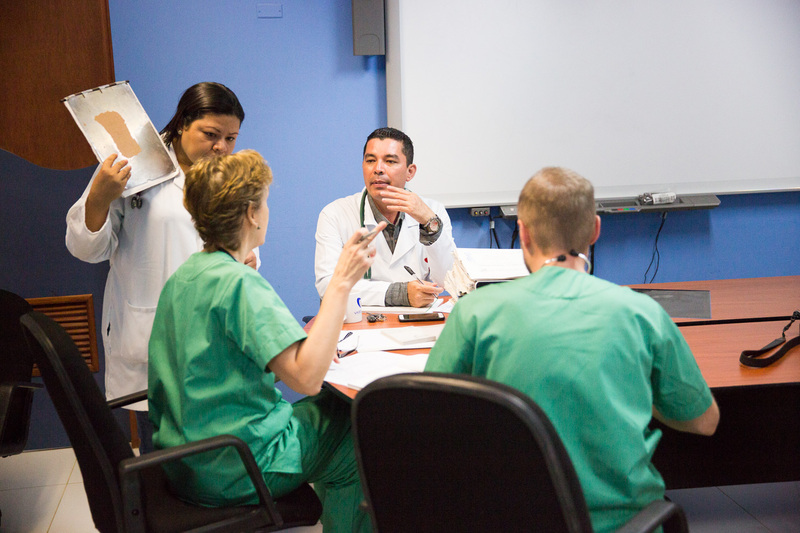 It was performed by a Surgeons of Hope team from New York-Presbyterian Hospital, led by Dr. Chai. 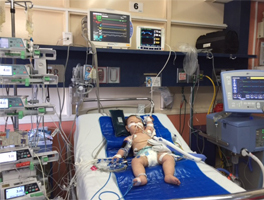 After her time in the ICU, shown here, Thais was freed from all of that equipment and recovered nicely. The gift of her childhood has been returned to her. Open your heart and donate to Surgeons of Hope in honor of someone you love!